If you would like to find a pristine beach to rest, you should choose Quan Lan Island - Ha Long Bay where has Minh Chau beach with white windy sand. From the port of Van Don, it takes you more than an hour to reach Quan Lan Island. There are two trips going to the island and returning to the mainland at 7am and 2pm every day. Road to this remote waters is much more convenient. This is the island which has been exploited for tourism for several years with plenty of good quality guesthouses and especially, it remains the unspoiled beauty. From Hanoi, you can choose the high quality passenger cars to Van Don at Luong Yen or My Dinh bus stations. There has a bus departure every 1 hour and the cars operate until 5:30 pm daily. You can also take the late car going to Halong after working hours, then changing to the car going to Mong Cai at Bai Chay Bridge to visit Cua Ong before you reach the island. Every day, there are two high-speed train departures to the island and returning to mainland at 7 am and 2 pm with ticket prices of more than 100,000 VND/person. Added to this, the fleets in service to the island is now fixed: depart at 7:00 am, 8:00 am, 2:00 pm, and 3:00 pm respectively and return at 7:00 am, 1:00 pm and 2:00 respectively. Motorcycle rental on the island costs from 120,000 to 150,000 VND/vehicle/day. 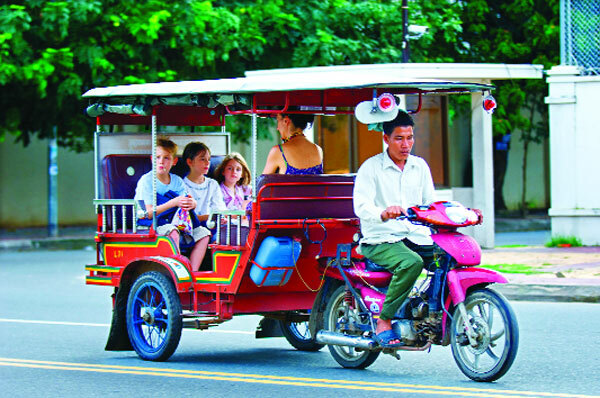 If you go with a larger group (from 8-10 people), the tuk - tuk is a relatively comfortable vehicle. With the price of VND 450,000 /vehicle under the program (picking up and seeing off, visiting Quan Lan communal house and beaches). Quan Lan Beach is the nearest beach to the port and market. Besides, there are Son Hao and Minh Chau beaches. 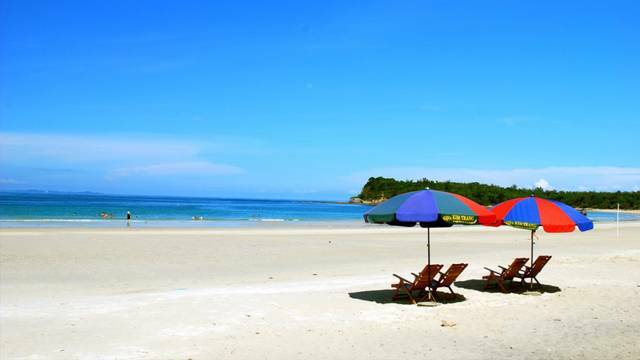 Among the beaches in Quan Lan, Minh Chau is the quietest beach because it is farther from the other beaches. Minh Chau beach has the white sand as the name of this beach. The beach slopes gently with hard seabed and is the most blue and clearest beach here. However, due to the fact that Minh Chau is located on downwind location, sometimes it becomes the “reluctant landfill” for waste materials drifting from the sea. 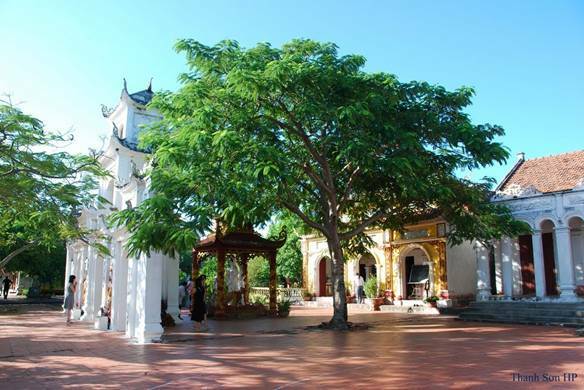 Quan Lan Communal house was built in the later of Le dynasty (around the 17th century) and was renovated several times in the Nguyen Dynasty to worship the village’s tutelary god and the Creator who deserved credit for founding the Quan Lan commune and worship Tran Khanh Du. 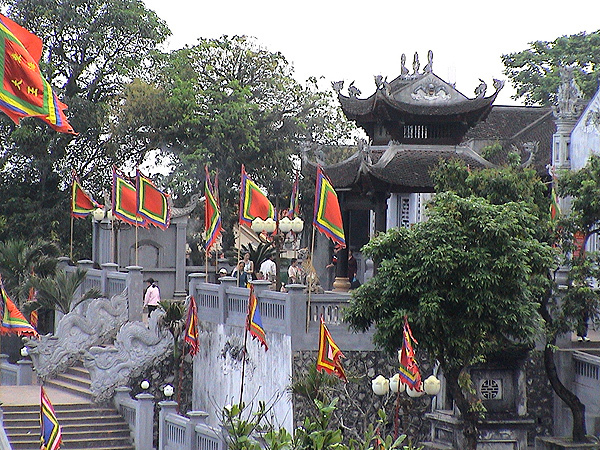 Besides Quan Lan communal house are Quan Lan Pagoda and Quan Lan temple worshipping Mr. Pham Cong Chinh – a local people who passed away in Van Don historical battle. 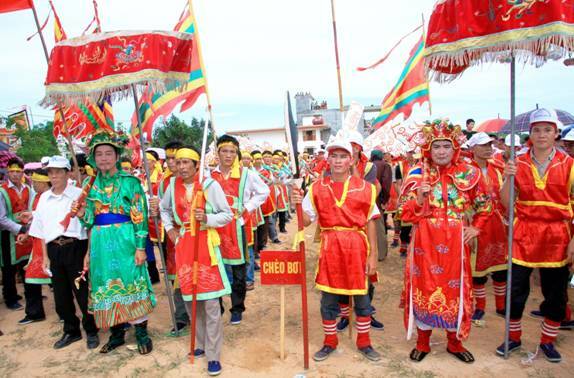 Quan Lan Communal house Festival is taken place from 10th to 20th June in Lunar calendar (the main festival is on 18th June). 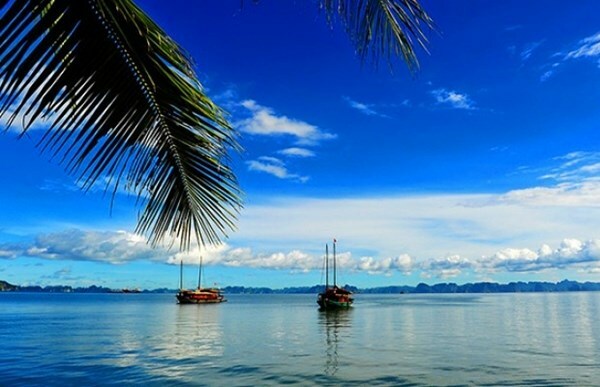 Minh Chau Harbor is located 2km from Minh Chau beach , and is the anchorage of many fishing boats. This harbor has a wide views of the bay and is the most beautiful place on the island to see the sunrise. There are four choices of accommodation for tourists in Quan Lan: motels, hotels, houses on stilts and resorts. Ngan Ha (Galaxy) hotel is the first standard hotel in Quan Lan with enthusiastic and friendly staffs. Moreover, Minh Chau beach is the first hotel located close to the beach full-services like restaurants, cafes, bike rental ... the room’s cost is from 550,000 to 1,500,000 VND depending on type of room and time of renting. A 4-5 day trip with the cost of about 2-3 million VND/ person to visit and admire one of the most pristine beaches in the North is really a suitable choice for your summer vacation in Vietnam. I think those are fortunate who travels to the desired locations, your write up is discussing the most important things in details one should take care of. We can help you out form making your itinerary more delightful, you can reach us at Himachal Tour Packages. Really a very nice place to visit. Enjoyed this post. Thanks for sharing such wonderful information.